Solutions for Kidney Disease - Solutions - Jafron Biomedical Co., Ltd. The conception, Combined Artificial Kidney was firstly introduced in 2004. Now it has became a conventional main treatment for removal of uremic toxin, with clinical application in nearly 3500 hospitals in China. 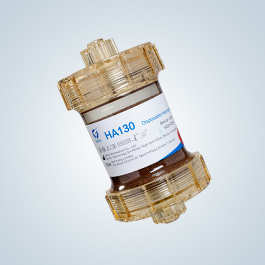 Combination of artificial kidney, namely (HA130 + HD) treatment mode, has extraordinary advantages than other blood purification methods, especially for removal of large molecules, protein binding uremic toxins and other broad spectrum uremic toxins. The standardized treatment with lasting full removal of uremic toxins is suggested. According to personal conditions, patients with end-stage renal disease (ESRD) under the treatment of regular hemodialysis can choose the following one of the following two treatment options. Recommended treatment: 4 times/month, change to maintenance treatment after conditions have been controled. Recommended for: Patients with shorter dialysis years, for Preventive treatment of patients without dialysis complications; Or for patient's maintenance treatment after intensive treatment has been controlled. Recommended treatment: 1 to 2 times/month. Xu Yuxiang, Zhou Qing overflow, Sun Jujun, etc., resin adsorption on maintenance hemodialysis patients with refractory hypertension renin - angiotensin aldosterone system [J]. The effect of blood purification in China, 2013 (6) : 316-319. Mr Chirac, Zhou Rong Chen Mindong, Shen Jie. Short-term high frequency blood perfusion combined hemodialysis on regular hemodialysis patients curative effect observation of itchy skin [J]. Journal of blood purification in China, 2015, 14 (2) : 97-99.
 yong-gang li. Hemodialysis union blood perfusion in patients with renal sexual bone disease in the clinical application. The Chinese medical science, 2016, 6 (8) : 202-204..
 Xu Peng, Chen weidong. Different blood purification methods on the effect of erythropoietin maintenance hemodialysis patients [J]. Journal of blood purification in China, 2014, 13 (6) : 437-440. Xu Yanmei Xu Chuanwen. Blood perfusion combined hemodialysis in maintenance hemodialysis patients micro inflammation in the body and the influence of malnutrition state [J]. Journal of Chinese integrative medicine emergency, 2014, 21 (1) : 42 to 45.